Specifically developed to withstand the most abrasive rock formations, the HERO 7 Abrasive matrix is an ideal choice for a wide variety of grounds. It is an all-purpose product that offers great reliability and chosen for its penetration/lifetime ratio. Its components have been redesigned to offer increased resistance to abrasion and its reinforced diameter helps preserve internal and external diameters. Used together with an appropriate drilling additive mix, it optimizes performance in medium hard to very hard abrasive grounds (between 5.0 and 6.5 on Mohs scale). 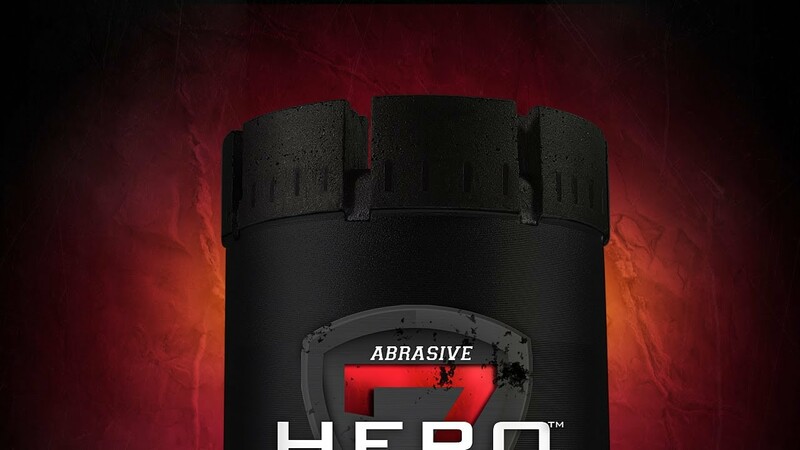 Choose HERO 7 Abrasive against abrasive rock formations containing different hardness levels.